Under development is a super strong synthetic spider silk, five times stronger than steel, that could stop a speeding train, just like the scene in Hollywood flick 'Spiderman 2'. "Spider silk of fantastical, superhero strength is finally speeding towards commercial reality - at least a synthetic version of it is," researchers said. The material, which is five times stronger than steel, could be used in products from bulletproof vests to medical implants, according to an article in the magazine Chemical & Engineering News (C&EN). Scientists said the scene in "Spiderman 2" where Peter Parker halts an out of control passenger train with several strands is not exactly far-fetched. "We calculated roughly how thick the fibers were, how many of them he had attached to the walls, how much the locomotive and people weighed, and how fast it appeared to be going," Randy Lewis, professor of biological engineering at Utah State University, said. Spider-Man would have been able to stop that train, said Lewis. Spider silk's impressive strength has been studied for years, and scientists have been trying to make a synthetic version of the super-strong protein in the lab, Alex Scott, a senior editor at C&EN, said. For other simpler proteins, scientists have been able to insert relevant genes into bacterial DNA, essentially turning the microorganisms into protein factories. But spider silk has not been so easy to churn out. Now, small firms just might have found the right genetic tricks, the article said. They are coaxing not just genetically engineered bacteria but also goats, transgenic silkworms and even alfalfa to produce multiple different versions of synthetic spider and spider-silkworm silks. 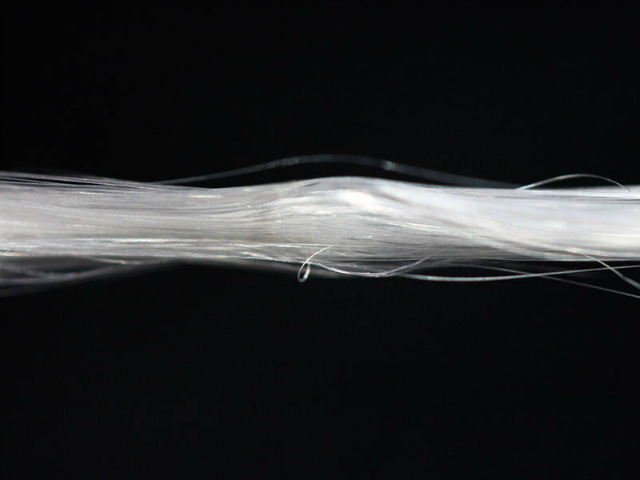 One company has even taken their iteration to the market - though theirs is a non-fiber kind of spider silk for use in cosmetics. So far, commercialization has been on a modest scale. However, the research pipeline for synthetic spider silk is very active, and scientists expect that production is right on the verge of scaling up.